I have read a lot of books that were later adapted into film, with wildly varying results. When I considered the topic put forth by the organizers of the Beyond the Cover blogathon, (Liz from Now, Voyaging and Kristina of Speakeasy), I went over a lot of these possibilities, but finally settled on the most recent combination that I’ve seen/read: The Martian, written by Andy Weir and brought to the screen by director Ridley Scott and screenwriter Drew Goddard with Matt Damon as Mark Watney. The main concept is that a manned mission to Mars experiences a setback that results in Watney being left behind on the planet without his crew. He has to figure out how to survive long enough for NASA to rescue him from the red planet. I saw the movie first, upon its BluRay release; it wasn’t really on my radar, so I didn’t have any expectations. I didn’t even realize that Ridley Scott directed until the end credits. I adore the movie, and I didn’t expect to spend so much of it laughing. It strikes an amazing balance between comedy and tension that I can’t recall seeing in any other film. Matt Damon has to carry at least half of it (alongside an excellent ensemble cast), and he does a wonderful job. We need to care about Watney, because the central plight of the movie is his well-being. NASA was also a consultant on the movie, which gave it an extra layer of authenticity – they have a film and television liaison! As soon as I finished the movie, I knew I had to read the book. I’d bought it months ago but hadn’t gotten around to it yet, but a few days later I downloaded it to my Kindle. 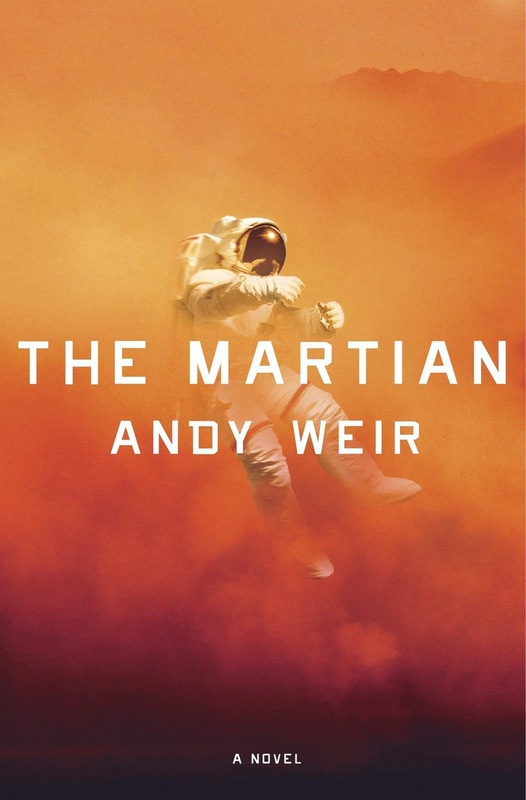 This is Andy Weir’s first novel, and it was initially written in serial format on his website. The book contains a LOT more scientific, technical detail than the movie; Weir wanted it to be as scientifically accurate as possible (minus the wind storm that causes the whole fiasco in the first place). The book and movie also dovetail from each other during the last third – the book introduces far more obstacles between Watney and his goal than the movie does. Generally speaking, however, the adaptation is wonderful and there are no egregious changes. The sense of humor is just as present in the book as well; before I read it, I thought they might have lightened it up for film! Both the movie and book are incredibly optimistic about space exploration and humanity, and I think that’s one of the main reasons I enjoyed their experiences so much. I really recommend reading and watching The Martian as both good entertainment and as a study of a well-done book-to-film adaptation. The Beyond the Cover blogathon was organized by Liz from Now, Voyaging and Kristina of Speakeasy. You can read about the guidelines and check out more articles from the blogathon here. Posts will be going up today, Saturday, and Sunday! Great post! This was the first time my husband read the book and then saw the movie…and he really enjoyed both! Thank you for joining us! I twiddled around until it was too late to actually go to see this in the theater. Wish I had gone. It’s good on a small screen, but probably not near as neat as on a large screen. Good review. Great choice, love how this went from serial blog form to a feature in such a short time. That’s as inspiring for writers as the movie’s story! Thanks so much for taking part in the blogathon, great to have you. Agreed – The Martian is a really good adaptation. I read the book first, about a year ago, and was surprised by how much I enjoyed it. The movie is every bit as enjoyable, even though it does depart from the novel in places. I felt filmmakers captured the spirit of the book, and they made a brilliant choice in casting Matt Damon at Mark Watney. 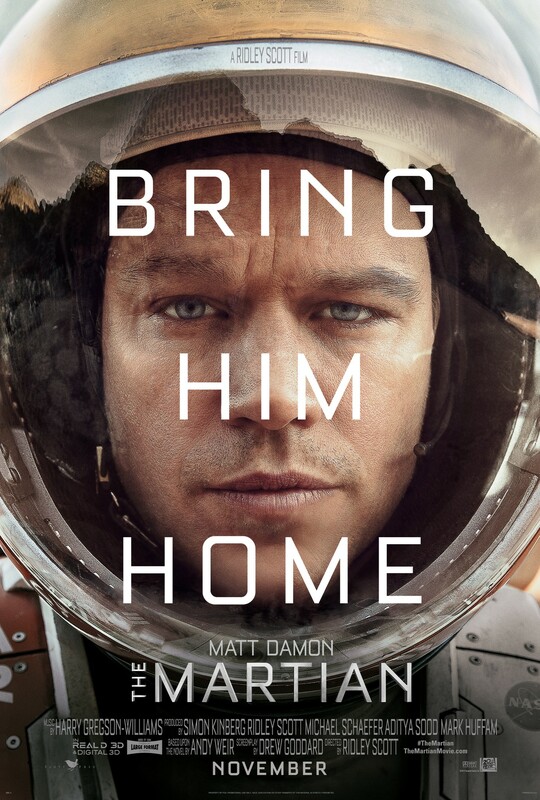 Your review has made me want to see The Martian again, even though I saw it a few weeks ago! Thank you so much for reading! The film absolutely captures the spirit of the book. I’m really glad I inspired you to want to watch it again! As soon as I saw it I ordered the BluRay; I knew I was going to want to watch it over and over.